Hi I have just purchased a nexus 7 4.2.2 software (unrooted) what game controller will work I am struggling to find any info. Do I need to root it first? I have Ordered an OTG cable and have a wired xbox 360 controller will it work? The OTG cable should be here in a couple of days all been well so will try it. Do I need to set anything up in any settings with the controller. Can you recommend any bluetooth controllers that will work with the Nexus 7 4.2.2 software? Look at the first post of this thread. For an unrooted device, stay away from the moga and ps3 controllers; they will require root. The red samurai controllers from GameStop and Nyko Playpad series work great out of the box, and you can try them out in person at a GameStop store. The red samurai is priced well last I checked. Pretty much any wired PC, Xbox, or PS3 controller will work just fine out of the box as well, if you don't mind wires. And the Logitech 710 is wireless but will require you to attach a nano dongle to your OTG cable so it's not completely wireless. The 710 is a very well-made controller and supports rumble in MupenAE, though it's a bit bulky (a bit larger than an xbox or ps3 controller). On cyanogenmod 10.1 (4.2.2) I can't seem to get any HID devices working, including my icontrolpad in any hid mode. I'm not sure if I broke something or what but I'm reflashing to AOKP. Is that with the xperia play? If so, does disabling the touchpad inside mupen change anything? Edit: Seems to work with AOKP. Wow, that's really weird, wouldn't have thought cyanogenmod would have any issues. I have a NVIDIA SHIELD (dont ask how i got it early) and cant get anything to work (analog controller) any ideas? It's hard wired (similar to xperia) but doesnt seem to work in any way shape or form. Does it have different control modes? 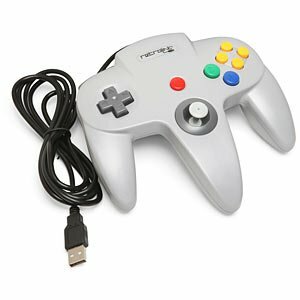 Hi, I'm having trouble trying to use my Retrolink N64 USB controller. Im using a Samsung Galaxy S2 phone and it wont recognise the controller while its plugged in. I know both the controller (on pc) and adapter work by themselves I just cant seem to get them to work on my Samsung. From what I'm seeing here, the Android operating system isn't detecting your controller. Was your controller connected to your device at the time you took the screenshots? Does the controller work with any other emulators or games? Do you see any activity when you go to Settings->Input->Controller->(menu)->Controller diagnostics and start pressing buttons? The controller was connected, I tried N64droid and couldnt get it to work but it works with Project64 on pc, and nothing happens in controller diagnostics. Unfortunately this doesn't sound like an emulator problem, but rather a problem between your hardware and the operating system. The controller diagnostics screen in mupen shows the raw signals of all controllers that Android can properly detect. If you don't see any activity on that screen, it means plain and simple that the controller and phone are not communicating properly, and the issue cannot be fixed by mupen (or any other app for that matter). - What version of Android are you running? - Are you running the stock firmware that came with the phone, or custom firmware like cyanogenmod? - What version of Windows are you running where the controller works? - Is it the same controller shown by snapuswip3 a few posts back? - Are you using an app or any special settings to connect the usb memory stick to your phone?